Microsoft may not have a presence at the Consumer Electronics Show (CES) in Las Vegas this week, but that doesn't mean its next-generation gaming console can't steal a little bit of the limelight away from other manufacturers. 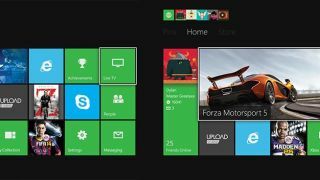 Engadget reported Wednesday that Microsoft engineers are hard at work on the first big update to Xbox One, which promises to address early criticisms from gamers with a more streamlined Xbox Live experience. Although Microsoft doesn't have an official presence at CES, Xbox Chief Product Officer Marc Whitten was on hand to meet with partners and take an "environmental scan" of the event to see what the competition is up to. Whitten also found time to sit down for a brief interview with Engadget, where he dished on Xbox Live updates and when Microsoft plans to deliver Twitch game streaming functionality missing at launch. According to Whitten, he and his team have taken early feedback and used it to shape the first major update for the Xbox One, which should be heading to more than three million (and counting) consoles in the weeks to come. "As a person who's been pretty involved in building Xbox Live for the last decade, I take it pretty seriously when people say it's harder to get into a party, and the defaults aren't right, and I don't like the model. So what I'm trying to do with the team is kind of theme some stuff up," Whitten elaborated. In addition to improving the "Live experience," Whitten also divulged those fixes could be soon be followed by game streaming sometime before this year's Electronic Entertainment Expo (E3), which kicks off June 10 in Los Angeles. "This is not 100 percent, but my general strategy at E3 is to talk about things that are gonna happen from that E3 to the next E3. So, we are not yet to the next E3," Whitten teased with a smirk, hinting that gamers won't have to wait until June to start streaming. Check out our hands-on look at Sony's new PlayStation Now!